Item number 3083/10 from the MOA: University of British Columbia. 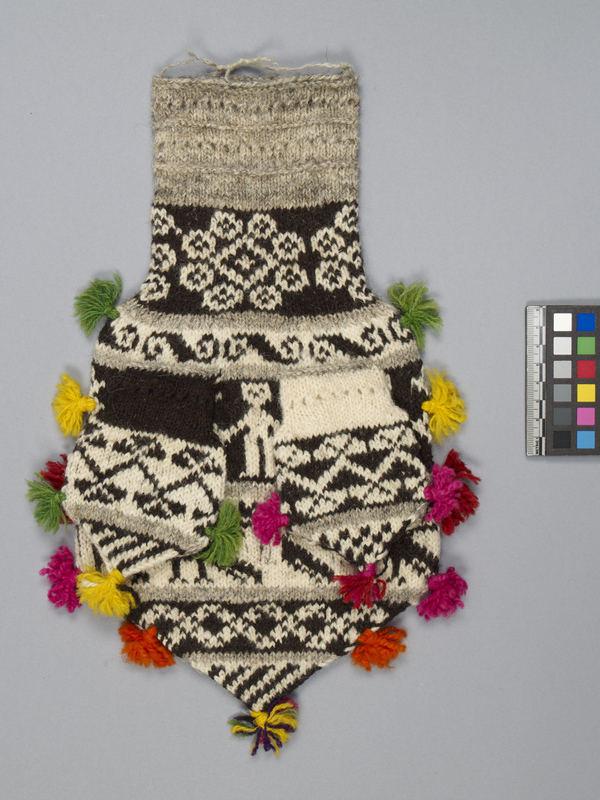 Knitted bag with narrow opening, square shape in the middle, triangular at end (diagonal decoration), five bands and pompons around the edge in green, yellow, red, pink and orange dyed wool. Three pockets (two in one side and one in the other side) are rectangular in top body and triangular at ends with geometric designs forming a potato flower. 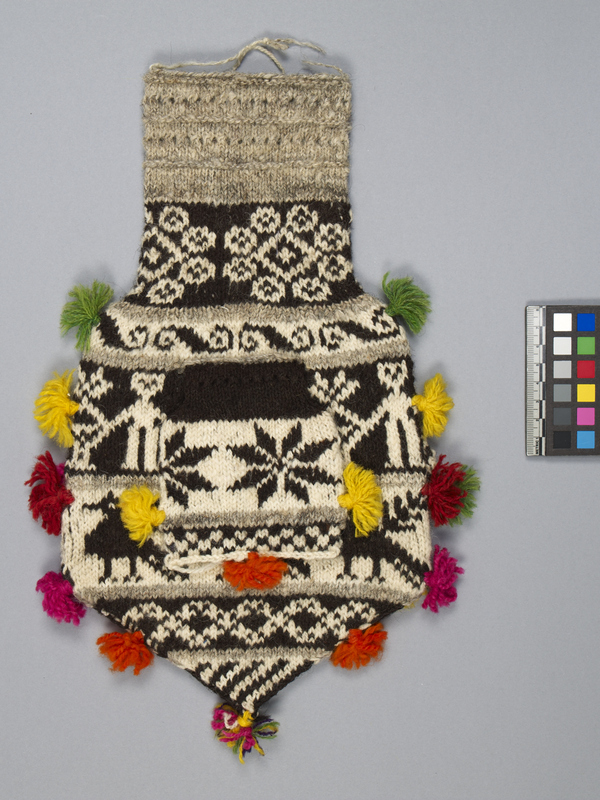 Pockets have three pompons on each triangular end: (1) red and pink, (2) green and yellow and (3) yellow and orange (other side). Five bands with different motifs: eight circles around a main circle, wavy black design, humans holding hands with birds, birds in profile, and curved lines crossing each other.